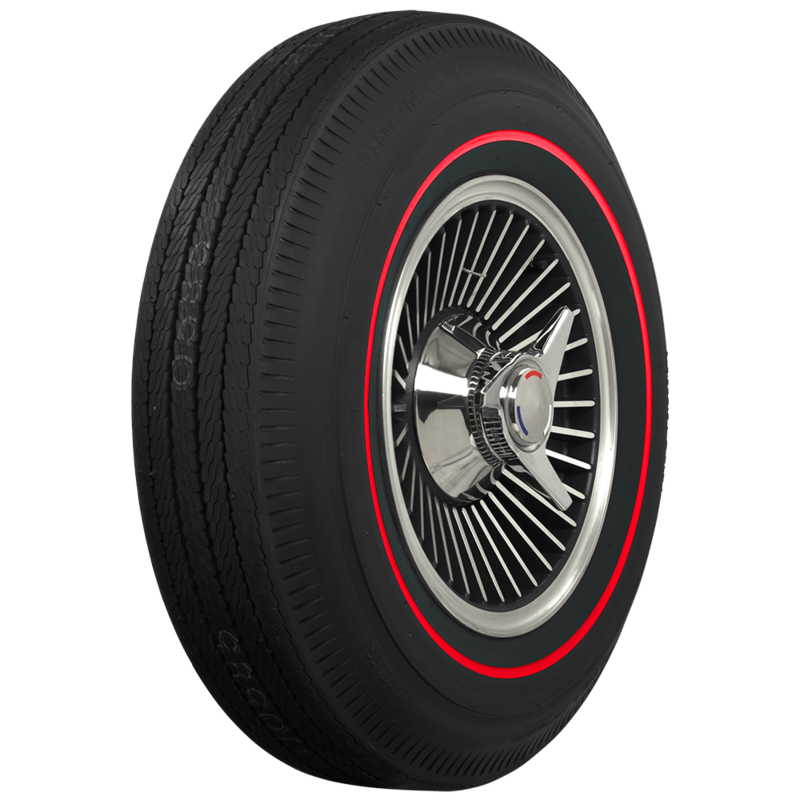 This is an authentic classic BF Goodrich 3/8 inch redline 775-14 tire. The 7.75-14 size was OE on Chevelles, Camaros, Chargers and many other popular muscle cars. 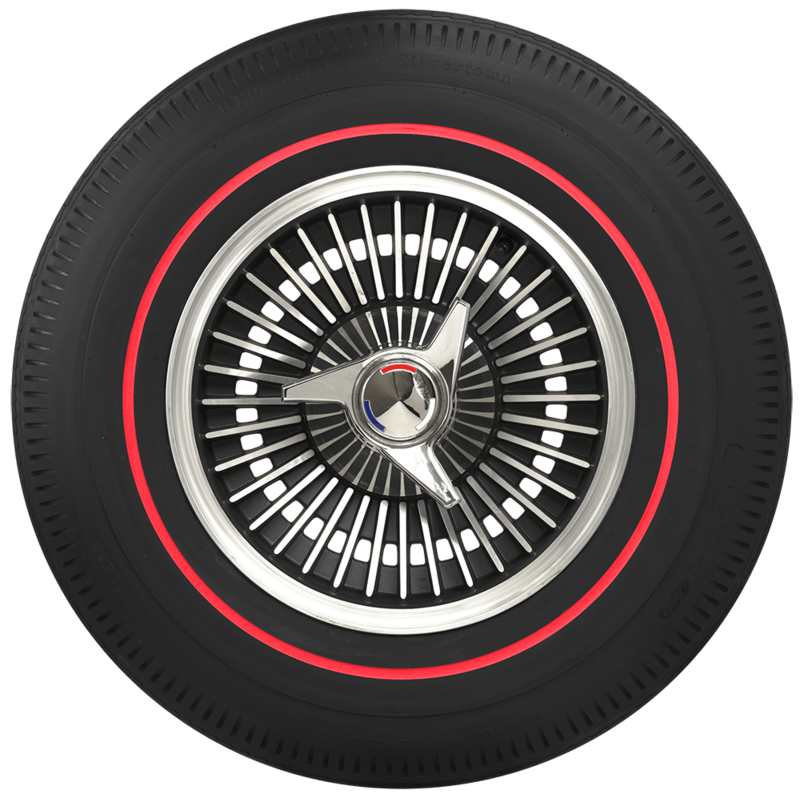 The famous redline tire is often associated with the legendary muscle cars of the sixties on which they were fitted. 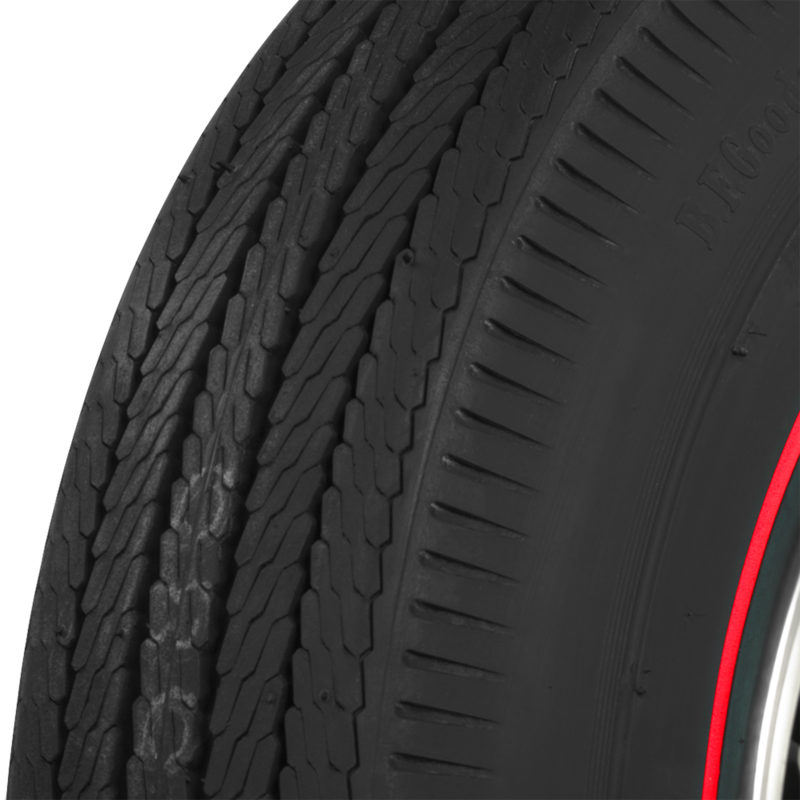 These 14 inch redline tires feature authentic tread designs and a genuine redline built into the sidewall. DOT and ECE (European Community) approved where applicable. These tires are made in the USA and backed by our life of the tread warranty. Coker Tire Company offers the most extensive line of original equipment sizes available in the world. 775-14 bias ply is equal to 205/75R14 and 215/70R14 radial. The F70-14 size is generally equivalent to 775-14 bias ply and 205/75R14 or 215/70R14 radial. I am restoring a 1966 chevy II Nova SS. I have the original 14" rally rims. I want to install red line bias tires on the rims. 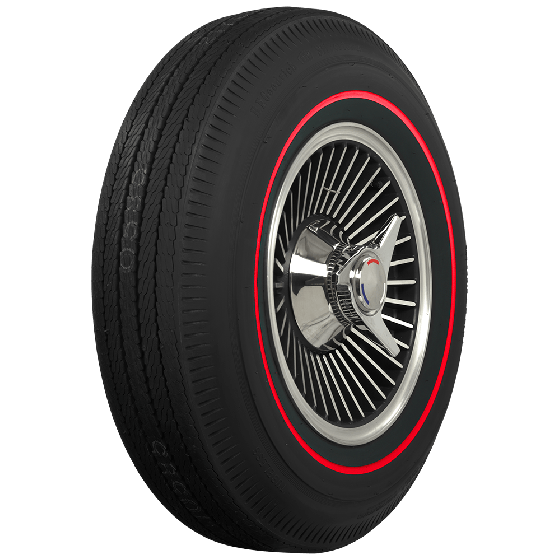 What size red line bias tires do I need? There are so many to pick from. D70, E70, F70, G70 14 tires out there. What was OE.? Thanks for contacting us! The original equipment size would have been 775-14. That translates to a F70-14. please let you know if you have further questions!